When will be Carnivàle next episode air date? Is Carnivàle renewed or cancelled? Where to countdown Carnivàle air dates? Is Carnivàle worth watching? Ruthie's latest vision leaves evidence behind; Lila hasn't given up her search for the missing Lodz; Eleanor goes on a picnic with Iris; Justin's powers calm a chaotic gathering. Justin has help avoiding a disaster; Iris locates another branch of her family tree; Stroud tries a strength-in-numbers approach; Libby is cowed by her mother's authority; Ruthie pays another late-night visit to Lila. Lila voices her opposition to Samson's itinerary for the troupe; Justin's baptism of the faithful coincides with another tragedy and a startling event in the migrant camp; Libby pleads with Jones to reveal his secret; Sofie sees a familiar face. Samson tries to stay a step ahead of impending chaos; Stroud does his best to protect Justin; and Ben's powers face the ultimate test. 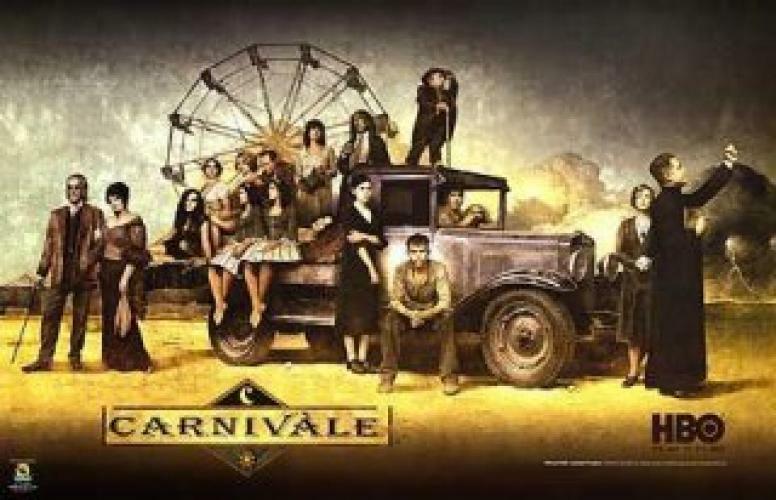 Carnivàle next episode air date provides TVMaze for you. EpisoDate.com is your TV show guide to Countdown Carnivàle Episode Air Dates and to stay in touch with Carnivàle next episode Air Date and your others favorite TV Shows. Add the shows you like to a "Watchlist" and let the site take it from there.